We were gathered around Manuel, getting ready to pray for the seizures and attacks he’s had since he was a 6-year-old boy. He’s managed to survive, be married for more than 30 years, and father two boys. Really, that’s a miracle – especially in Guatemala. Working in the fields isn’t always possible because of his physical ailments. His wife washes clothes for extra money, but being able to pay for food for his family and education for his boys is a struggle. Part of our mission team was at this house with a local pastor and a couple of the missionaries from Bethel Ministries International to help address their needs. It was one of 16 homes we visited throughout the week. Chris, who along with his wife leads BMI, was getting ready to pray for Manuel. First, he thanked Manuel and his wife for loving each other through the hard days. 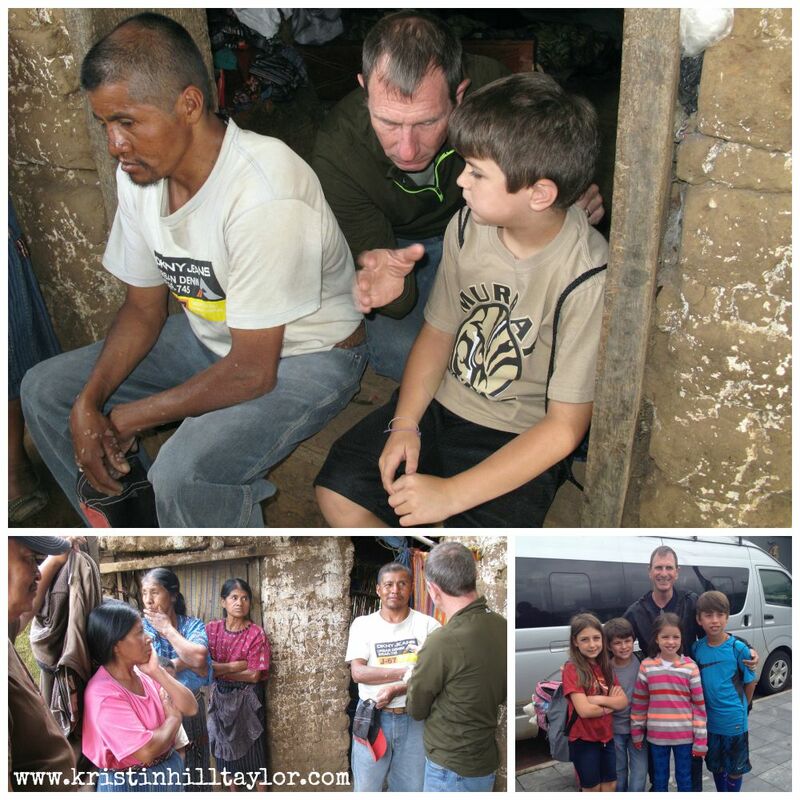 Then he asked Kellen – one of the four kids on our mission team – to sit next to Manuel and talked about child-like faith. Sure, most of us who have spent any amount of time in church have heard a sermon or two on child-like faith. But Chris looked Kellen in the eyes and said his hands were needed on Manuel while we prayed because he had just the kind of faith God wants all of us to have. Kids don’t have the distractions and anxiety that adults can easily have as they try to make grown-up decisions and take care of the people who are depending on them. Then Chris told Cate to come near too. And we all prayed. In Spanish, Chris thanked God, asked for healing, and encouraged this family to seek Jesus the person – not the picture in the shrine they had built on a table in the house behind us. Meanwhile, I silently thanked God for these moments that drew my daughter in and reminded my heart what was important. Those moments next to a house situated among the dirt and cornfields were the best child-like faith sermon I ever witnessed. What I learned in Guatemala. I'm linking up with the Soli Deo Gloria Sisterhood Gathering.